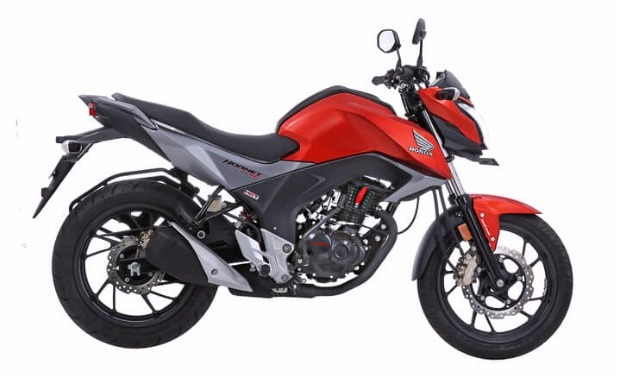 Country’s leading 2-wheeler manufacturer Honda 2 Wheelers, recently launched Honda Hornet 160R motorcycle, an 160cc+ bike. The all new Hornet 160R which was first announced during the month of August in the Honda Revfest event is now up for sales at Rs 79,900. To make it more convenient for the bike buyers, the company has released an exclusive application for Smartphone users. 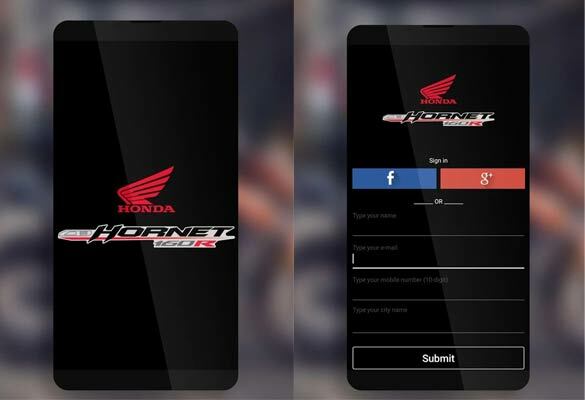 The Honda Hornet mobile application is primarily designed keeping the prospective customers in mind. The Hornet mobile app mainly aims to make the booking process more simpler, at the same time keeping the customers informed about the product. Hornet from Honda is a new brand that is introduced in the year 2015 – it is quite common to expect this modern day bike to get advanced modern day features. The all new CB Hornet 160R leads the class. The bike’s power with a 163cc engine is powerful enough to provide the bike an extra thrust. The bike which is specially designed to deliver good low end torque, advanced engine achieves a compression ratio of 10:1, by also delivering the right punch of power. Not only this, the CB Hornet 160R’s engine is equipped with a counter balancer to reduce the vibrations produced in engine. The engine delivers a very smooth acceleration from low RPM to high RPM. The engine which is powered by revolutionary HET BS-IV (Honda Eco Technology) is well-tuned to deliver extra torque and great mileage. Bookings of the Honda CB Hornet 160R are currently open and the motorcycle can now be booked using the mobile application. Very interestingly, the only way one could book a new CB Hornet 160R is via the mobile app. Also, if a bike buyer walks into the showroom, the booking is going to be routed through the app. Currently the Honda Hornet app is available only for Android based phones. One can download the Honda CB Hornet application from Google play store here. Also read: Honda CB Hornet available colors.